(4) accrue resources for unauthorized use on this system are strictly prohibited. Such attempts or acts are subject to action that may result in criminal, civil, or administrative penalties. 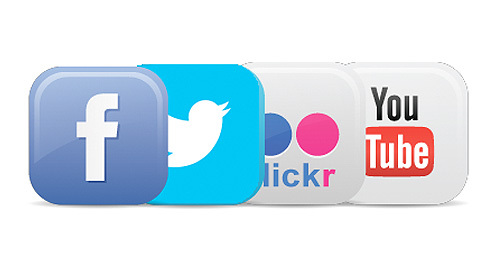 With all 152 VA Medical Centers on Facebook, and many on Twitter, you can connect with VA on the platforms you're on, including YouTube and Flickr. The Camp Lejeune Family Member Program is for family members of Veterans who were stationed at Camp Lejeune. 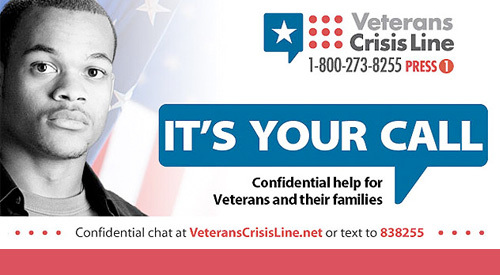 If you are a Veteran, apply here www.va.gov/healthbenefits/apply or call 1-877-222-8387 for help. From August 1, 1953, through December 31, 1987, people living at the U.S. Marine Corps Base Camp Lejeune, North Carolina, were potentially exposed to drinking water contaminated with industrial solvents, benzene, and other chemicals. On August 6, 2012, the Honoring America’s Veterans and Caring for Camp Lejeune Families Act of 2012 was signed into law. This law (H.R. 1627, now Public Law 112-154) requires the Department of Veterans Affairs (VA) to provide health care to Veterans who served on active duty at Camp Lejeune and to reimburse eligible Camp Lejeune Family Members (CLFM) for eligible health care costs related to one or more of 15 specified illnesses or conditions illustrated in the list below. This website will assist CLFMs who want to apply for reimbursement of health care expenses related to one or more of the 15 conditions below. Please review the information on this page to assist you with applying for the Camp Lejeune Family Member Program (CLFMP). When you are ready, scroll to the bottom of this page and select "Start New Application for Family Member". If you’ve already started the application process, select “Retrieve Saved Application." Should you apply for the Camp Lejeune Family Member Program? THEN you may meet the criteria for VA's Camp Lejeune Family Member Program. Complete the required application via the "Start New Application for Family Member" button below. Please note: This program is only for family members of Veterans who were stationed at Camp Lejeune. 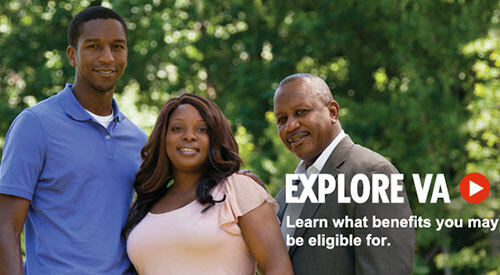 If you are a Veteran, apply here www.va.gov/healthbenefits/apply or call 1-877-222-8387 for help. How do I apply for the CLFM Program? For expedited processing, complete the online application at the bottom of this page. Click on this link for online application instructions. What type of evidence do I need to submit with my application? VA will need evidence that you were both a legal dependent of the Veteran and that you were a resident at Camp Lejeune for at least 30 days between the dates of August 1, 1953, and December 31, 1987. What type of evidence do I need to submit? Will the VA assist me in locating evidence? VA will attempt to obtain all relevant evidence available for you within the Veterans Health Administration (VHA), the Veterans Benefits Administration (VBA), and the Department of Defense (DoD). Please note: VA will still review your application if you do not send evidence, but it may take longer to process while we confirm information with other agencies. Am I required to fill out a CLFM Treating Physician Report? If you have one of the 15 CLFMP medical conditions, you may wish to provide a copy of the Treating Physician Report to your physician for completion. Submission of this form is not required, however, this assists us with important information to process your clinical eligibility. That you are currently receiving treatment from your physician for this condition. If you are not currently receiving treatment for this condition, please submit medical records that show you have received treatment in the past. The covered conditions are listed below. What do I do if I forgot something on my application? Contact us at: 1-866-372-1144 for assistance. What do I do if my information needs to be updated? Complete the CLFMP Information Update Form for address and health insurance changes. What if I do not understand the questions on the application? Contact us at 1-866-372-1144 for assistance. What if I don’t want to complete an online application? NOTE TO APPLICANT: You're applying for Camp Lejeune Family Member Program benefits administered by the Department of Veterans Affairs (VA). VA will consider the information you provide on this questionnaire as part of the process to determine your eligibility for this program. Complete the form to the best of your knowledge and ability in order to establish your eligibility for this program. This program's eligibility criteria will be determined through the VA. Submission of this application does not guarantee acceptance into this program. The Paper Reduction Act: This information collection is in accordance with the clearance requirements of section 3507 of the Paperwork Reduction Act of 1995. Public reporting burden for this collection of information is estimated to average 30 minutes per response, including the time for reviewing instructions, searching existing data sources, gathering and maintaining the data needed, and completing and reviewing the collection of information. Respondents should be aware that notwithstanding any other provision of law, no person shall be subject to any penalty for failing to comply with a collection of information if it does not display a currently valid OMB control number. The purpose of this data collection is to determine eligibility for benefits. Privacy Act Information: The authority for collection of the requested information on this form is 38 USC 1787. The purpose of collecting this information is to determine your eligibility for reimbursement of health care related to conditions determined to result from contaminated water while you resided at Camp Lejeune, North Carolina, for a period of at least 30 days. The information you provide may be verified by computer matching programs with authoritative sources such as the Civilian Health and Medical Program of the Department of Veterans Affairs (CHAMPVA), Department of Defense (DoD), Defense Enrollment Eligibility Reporting System (DEERS), Centers for Medicare & Medicaid Services (CMS) or any other applicable authoritative source at any time. You are requested to provide your social security number as your VA record is filed and retrieved by this number. You do not have to provide the requested information on this form but if any or all of the requested information is not provided, given the form's purpose of establishing eligibility for the Camp Lejeune Family Member Program, it may delay or result in denial of your request for Camp Lejeune Family Member Program benefits. Failure to furnish the requested information will have no adverse impact on any other VA benefit to which you may be entitled. The responses you submit are considered private confidential and may be disclosed outside VA only if the disclosure is authorized under the Privacy Act, including the routine uses identified in the VA system of records number 23VA16. For example, information including your social security number may be disclosed to the Department of Defense, contractors, trading partners, health care providers and other suppliers of health care services to determine your eligibility for medical benefits and payment for services.